Harlequin Activity sprung dance floor has helped to transform an ageing, dilapidated community hall into a world class dance studio as part of a £1.25 million regeneration project for the West London School of Dance. 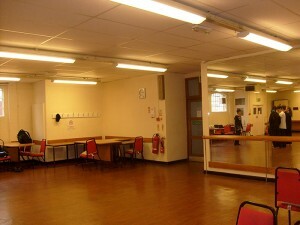 An important part of the school’s history for 26 years, the former Shepherd's Bush Village Hall was in poor condition and lacked the facilities required for a modern dance studio. When Hammersmith & Fulham (H&F) Council put it up for sale in February 2011, the Widgoer Family Foundation purchased the building for £1 million and pledged to allow all occupying groups to remain on site. With low ceilings, no sound system, concrete flooring and minimal on-site facilities, there was a clear need for regeneration. After raising £240,000 for the renovation with help from Andrew Lloyd Webber, Garfield Weston and Cameron Mackintosh – main contractor Kiwi Construction was appointed to complete a full refurbishment, including the installation of a Harlequin Activity sprung dance floor system. Harlequin supplied 180m2 of its Harlequin Activity sprung floor system for the new 16.5m x 11.6m studio. Based on the ‘triple sandwich’ construction originated by the company over 30years ago, it eliminates the need for metal springs and rubber pads and as it is a fully floating system with no fixings, it can be laid on almost any surface without preparation. Specified with a grey Harlequin Cascade surface, the silky smooth embossed system provided an ideal combination of aesthetics, versatility, safety and suitability to the demands of a wide range of dance styles from ballet to tap. "Harlequin has laid the best floor in the world and it has transformed the way we work," said Anna du Boisson, director of West London Dance and the Young Dancers’ Academy. "We have a Harlequin floor in our smaller studios over the road and it is perfect, it is exactly what you want." As part of the comprehensive specification, Harlequin also supplied and fitted 26 double oval ballet barre brackets along with over 50 1.5 metre long pine barres, end brackets and corner sleeves to give the impression of a continuous double ballet barre around the room’s perimeter. To complete the design and provide a high-end studio space, a series of floor-to-ceiling mirrors were also installed. 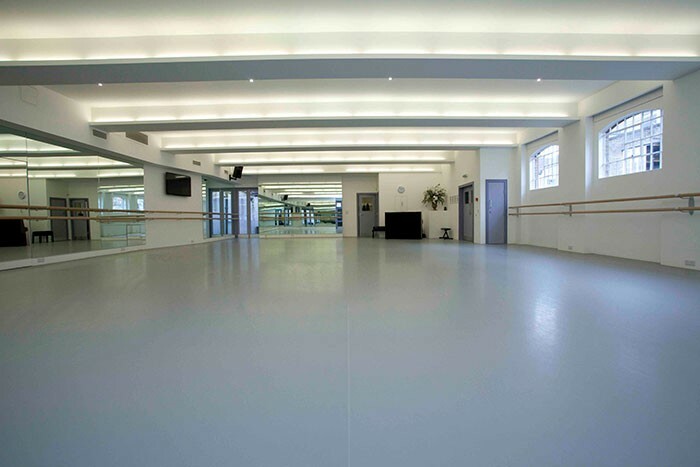 The new hall was officially opened on November 6 last year by former principal dancer at The Royal Ballet and one of the UK’s most celebrated ballerinas, Darcey Bussell. The ceremony was also attended by some of the industry’s biggest names, including Strictly Come Dancing judge Craig Revel-Horwood and founder of the Pineapple Dance Studio Debbie Moore. 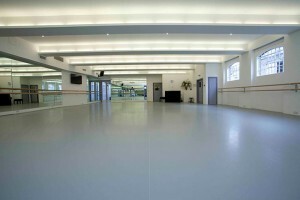 Thanks to the versatile, high performance dance floor supplied and installed by Harlequin Floors, this historical hall will continue to ensure the school’s 800 students, aged from three and 16, can fulfil their potential as they practise their dance skills in a state-of-the-art rehearsal space.